Apple Cider Vinegar for Weight Loss is still being researched by scientists and discussed by experts. However, there are already numerous proven health benefits for the use of Braggs Apple Cider Vinegar. Many people have praised the wonders and benefits of Braggs apple cider vinegar. Some say it’s good for your skin, others promote its ability to reduce cholesterol – then there are those that loudly proclaim that apple cider vinegar can do everything; including to prevent cancer. Braggs apple cider vinegar has been hailed as a miracle home remedy that treats nearly every illness, ailment, or acute condition. There are still studies being conducted on whether apple cider vinegar aids in the prevention of cancer or not. Braggs apple cider vinegar has been known to treat such ailments as, hiccups, indigestion, sore throat, stuffy and runny nose. It aids in weight loss, stomach pains, diabetes, heart disease, skin conditions, easing muscle pain, and numerous other benefits. For centuries people have praised the benefits of apple cider vinegar without much scientific research to back the claims. While research is ongoing, new results estimate that apple cider vinegar could be much more beneficial than previously thought. Apple cider vinegar helps you feel fuller after eating due in part to delayed stomach emptying. This would seem to naturally lead to lower calorie intake. However, this could worsen gastroparesis for some. Gastroparesis, or delayed stomach emptying, is a common complication of type 1 diabetes. With new medical advances every day, it’s no wonder this home remedy is gaining so much renewed attention. It seems to be the easy cure-all for everything and anything. Regardless of these claims being true or not, there is something about apple cider vinegar that makes it a simple cure-all for minor ailments and the prevention of others. But does that make this brown-tinged liquid a miracle drug or no? Let’s take a look at some of the benefits of apple cider vinegar and some of the downfalls. Determine if this sour tasting liquid is all it’s cracked up to be. Apple cider vinegar has been used for more than ten thousand years by ancient civilizations including Egypt and Greece. In Egypt remnants of vinegar residue can be traced as far back as 8,000 B.C. Historians believe the Egyptians used apple cider vinegar for weight loss, as an antiseptic and a preservative. Meanwhile, in Greece, the Greek doctor Hippocrates was known to prescribe apple cider vinegar mixed with honey to treat coughs and colds. Apple cider vinegar has been known to cure everything from hiccups to cold symptoms. Even helping with health conditions such as diabetes, heart disease, and high cholesterol. Apple cider vinegar is made from the juice of apples with some fermentation, and voila you have apple cider vinegar. No, really the process is actually quite simple if you have some extra time on your hands and a lot of patience. To make apple cider vinegar, crush or juice apples. Add bacteria and yeast to the liquid to begin the alcohol fermentation process. The sugars from the juice will eventually turn into alcohol, and thus leave you with a nice glass of hard cider. But to create apple cider vinegar another step needs to be taken. Namely, a second fermentation process in which the alcohol is then converted into vinegar. This process requires the use of an acetic acid bacteria called acetobacter. Studies using animals have found that acetic acid may promote fat loss in several ways. It seems to reduce fat storage and increase fat burning. Reduction of appetite and improvement of blood sugar and insulin responses are possible. Although these results look promising, other research is needed in humans to confirm these effects. Thanks to its well known antibacterial properties, apple cider vinegar can cure an upset stomach. It can restore balance from bacterial caused diarrhea and soothe intestinal spasms. Experts believe that consuming one or two tablespoons mixed with water should help alleviate stomach pains. But that isn’t the only thing apple cider vinegar is helpful for. Experts suggest ingesting apple cider vinegar when you feel a sore throat starting to form. Not only will its antibiotic properties help crack down on germs, but this will also help prevent or stave off further throat infection. Additionally, apple cider vinegar is your best friend whenever a miserable cold decides to drop by. The potassium in the vinegar helps thin mucus and the acetic acid prevents germ growth that would contribute to further nasal congestion. Who knew that apple cider vinegar could unblock a runny nose? A preliminary study in 2006 found that the acetic acid in the vinegar lowered bad cholesterol in rats, although more research is needed to prove a direct link between apple cider vinegar and lower cholesterol in humans. It was determined that half an ounce of apple cider vinegar a day lowered cholesterol substantially. Pectin has been proven to help regulate blood pressure and encourage good cholesterol. It is another component of apple cider vinegar. In one human study, 144 obese people who took 1–2 tablespoons of apple cider vinegar daily for 3 months resulted in lost weight and body fat. This is one of a few human studies that have concentrated its research on vinegar’s effects on weight loss. Additional studies are still needed. Simply put, apple cider vinegar can act as a weight loss aid. Its naturally an appetite suppressant has the ability to stop junk food cravings and prevents starches that would cause weight gain from being absorbed into the bloodstream. Apple cider vinegar provides the feeling of fullness after a meal. This fullness will prohibit you from loading up on unnecessary calories and carbs. A Swedish study recently found that when people consumed vinegar before or during a meal, they reportedly felt more satisfaction and satiety than participants who did not. 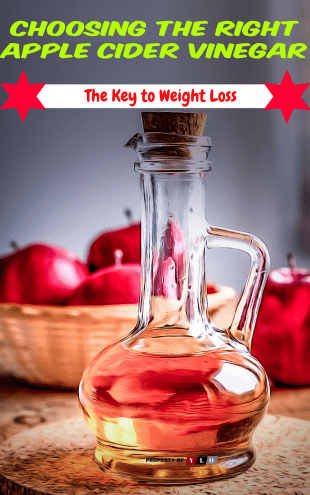 The acetic acid in vinegar is also very helpful in aiding weight loss. Apple cider vinegar effects how blood sugar is regulated by the body. This leads to a decreased chance of glucose spikes after eating. If you’re suffering from a bout of acne or other skin ailments, look no further than apple cider vinegar to help cure your woes. Apple cider vinegar can be a thorough dandruff treatment as its acidity prevents the growth of yeast on the scalp. To create a dandruff treatment, mix 1/4 cup of apple cider vinegar with warm water and spray on the scalp. Afterward be sure to wrap your hair in a towel and let sit in for 15 minutes to 45 minutes before washing your hair. Apple cider vinegar is also a natural home remedy for acne that leaves skin looking and feeling healthier and shinier. The antibacterial properties in combination with malic and lactic acids within the vinegar will soften and exfoliate the skin while reducing blemishes and red spots. Apple cider vinegar can also aid in balancing the pH balance of your skin, possibly curing you of any sudden acne outbreak. Apple cider vinegar is recommended to be ingested, because applying it to the skin directly may produce contradictory results. Braggs Apple cider vinegar is not a disinfectant and should not be treated as such. Do not use apple cider vinegar to treat open wounds, apply an antiseptic and seek medical attention of the wound is severe. 1 – 2 tablespoons per day, mixed with water is the suggested amount of apple cider vinegar to be used for weight loss. Spread this out over 2 – 3 doses throughout the day, and drink it 1 hour before eating your meals. Taking more than this isn’t recommended because of potentially harmful effects at higher dosages. While all the aforementioned benefits of apple cider vinegar seem expansive and downright unbelievable, there are some drawbacks to frequently using apple cider vinegar. Consuming too much apple cider vinegar can have negative and harmful effects. Apple Cider is highly acidic, and while this can be helpful to your body’s pH level it can also damage your tooth enamel and esophagus. Experts agree the proper balance consists of 2 tablespoons of apple cider vinegar per eight ounces of water if the drink continues to be difficult to drink consider adding some honey. Drinking apple cider vinegar by itself is not recommended. At any time, whatsoever. Apple cider vinegar should always be mixed with something such as water or a light juice such as apple juice. Additionally consuming apple cider vinegar regularly can cause enamel erosion on the teeth. By using straight apple cider vinegar other essential nutrients might be diminished. Keep in mind that many of these side effects occur only when you are ingesting too much apple cider, or not mixing it with water. Another negative consequence of too much apple cider intake is bone loss. Although the vinegar contains potassium its acidic nature can also erode away minerals and nutrients that are necessary to maintain strong and healthy bones. For all of its health benefits, it seems that apple cider vinegar just might be the cure-all that everyone makes it out to be. The risks associated with overconsumption of apple cider vinegar can’t compare to the benefits provided by apple cider vinegar. This truly a one-of-a-kind of antidote to all things big and small. Even though research has suggested that apple cider vinegar is an excellent home remedy for many ailments, it’s also important to keep in mind that research into its consumption is still being undertaken. While results are likely to return positive effects, keep caution when ingesting apple cider vinegar for various ailments and pain. Even though apple cider vinegar may be a miracle food, there is still a long way to go, before science can definitely prove that it is an absolute antidote to whatever might be ailing you. Keep in mind that over-consumption of apple cider vinegar can lead to dangerous and drastic results. Make sure that you are ingesting the right amount of apple cider vinegar as well as making sure that it is diluted. It is important. Remember to consult a medical professional if you are taking medication as apple cider vinegar can cause serious reactions with them. If you are experiencing an emergency be sure to dial 911 immediately.